If you love life on the open road, you’ll want a bike that’ll go the distance with you. So, here’s our guide to helping you find the best touring motorcycle for your adventures. As the name suggests, a touring bike is best suited for long journeys – that means you need a bike that’ll not only gulp down miles without question, but you’ll want one that’s comfortable, and big enough to pack away all those travelling essentials. The iconic Honda Gold Wing has been around since 1975, it’s been improved upon time and again and 2018 sees a further update. The updated model weighs around 48kg less which makes for more manoeuvrability. It’s also fit for the 21st century with a colour instrument display screen and smart key system. 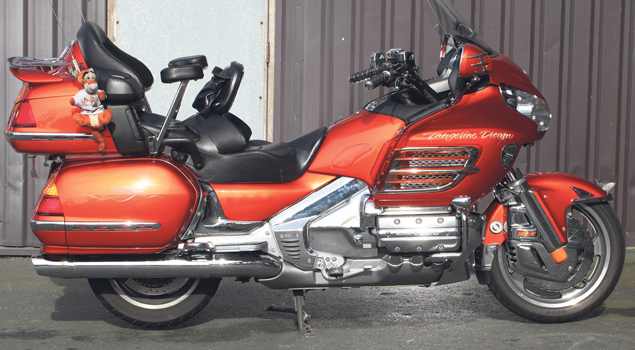 All the great things about the Gold Wing are still there: it’s a great ride; it’s stylish, and it’s incredibly reliable – exactly what you need if it’s just you and the open road. The one disadvantage – it’s expensive, the new 2018 model is estimated to cost about £30,000. You’ll get 48mpg and the 1833cc engine gives you 125bhp. A close rival to the iconic Gold Wing, the BMW K1600 GT is another smooth, comfortable ride, perfectly made for going the distance. Models from 2017 onwards have the added safety feature of automatic ESA (electronic suspension adjustment) which means the bike will adjust to suit road conditions. There are lots of features such as adaptive headlights and tyre pressure control that make this feel like a quality bike. 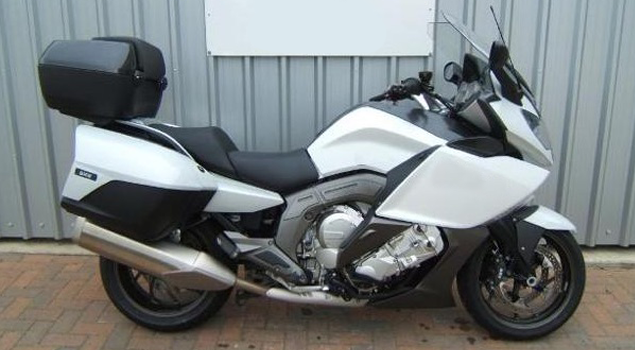 But like the Gold Wing, you’ll pay for the privilege of having both comfort and ride experience – price new is around £20,000 and used models won’t set you back much less as they retain their value. You’ll get 45mpg and the 1649cc engine gives you 160bhp. Opt for the newer version of this Kawasaki if you want the comfort of heated grips, improved traction control and a better instrument display. 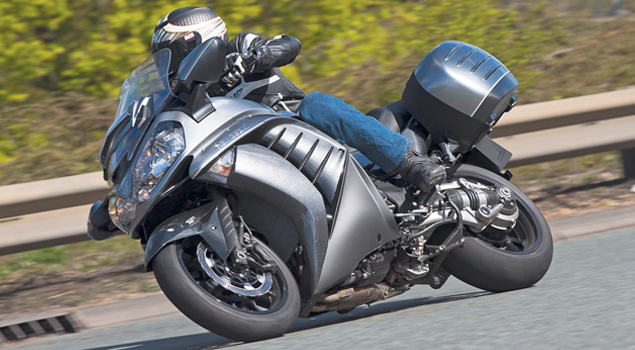 The GTR1400 is an overall good buy – reliable, smooth to ride, with top build quality – as you’d expect from Kawasaki. You’ll get 36mpg on models from 2010 onwards and 139bhp from a 1352cc engine. Price wise, it’s a lot more reasonable than the Gold Wing or the K1600 GT, you can pick up a new one for just under £14,000. 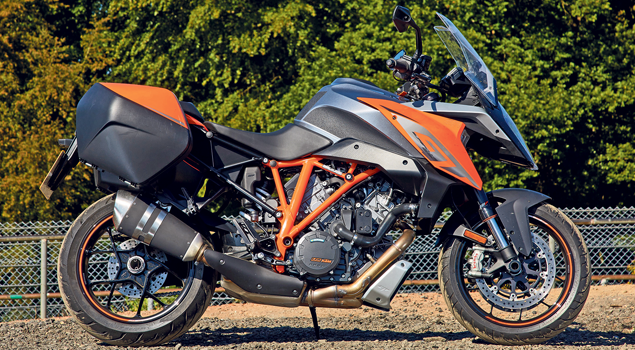 This KTM holds a decent, reliable bike that’s lightweight and easy to manoeuvre. It’s classed as an ‘adventure tourer’ with a suspension system that can be adapted to suit the terrain. For your money, you’ll get a decent bike and owners are quick to enthuse about what good value this really is – from the quality of the build, the engine, right down to the on-board equipment. A new model will cost you around £14,000; it offers a solid 45mpg and 160bhp from a 1301cc engine. This Triumph model gets top marks for all round best touring motorbike, it’s a great ride, good quality and very reasonably priced at £13,500. Lots of decent equipment ensures you’ve got the comfort and convenience you need on a touring bike, such as an electronically adjustable windscreen, adjustable seat, as well as a decent music system. Room for your luggage means it’s practical too. This is the most economical of all the bikes featured here offering 52mpg, engine size is 1251cc which will give you 132bhp. Whichever bike you choose, at mustard.co.uk we’re on hand to help you with all things insurance – from how to reduce your insurance premium, to understanding different bike insurance options. Plus, with our Cheapest Price Guarantee* you can be sure we won’t ever make you choose between saving the pennies and your protection – just give us a call on 0330 022 8814, or start a quote online.